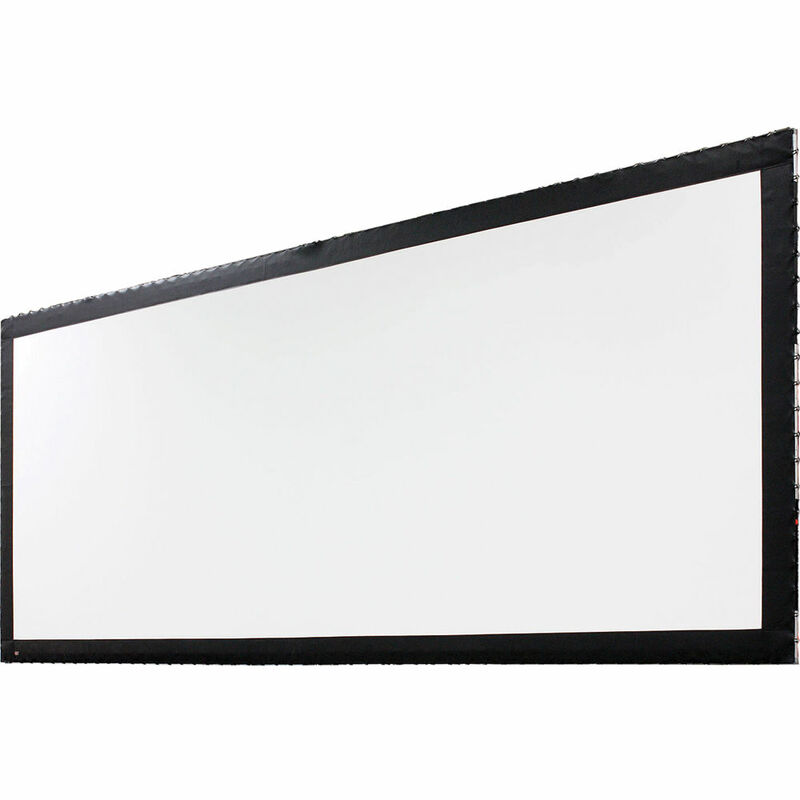 The Draper 108 x 192" Stage Screen Portable Projection Screen is a breakthrough in projection screen technology. It is designed to be flown (suspended) but can be used with an optional set of legs. This is a very strong and rugged screen that is marketed towards AV rental dealers. From a retail point of view, this means not having to maintain a larger inventory of separate screens since this screen can serve a wide variety of uses. From a user point of view, it saves you the cost of purchasing several screens. It is a wonderful choice for an easy-to-use, portable screen that sets up and breaks down in no time and with a minimum of effort.